For the debut event in the latest series of meetups, TokenMarket focussed on the future of security tokens. Often surrounded in mysticism and, in some cases, a lack of information, security tokens and security token offerings have become a hot topic in the cryptocurrency, blockchain and ICO space. 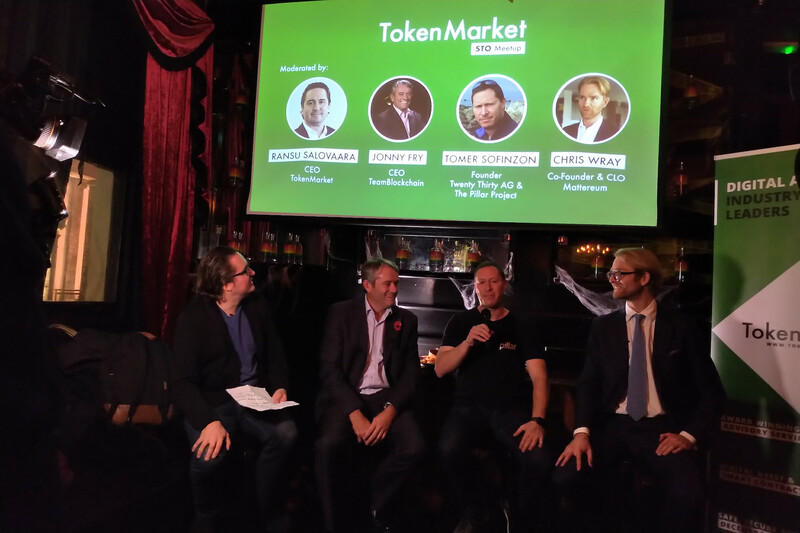 TokenMarket wanted to curate an event that tackled a lot of the questions that came around the topic of security tokens such as; regulation, sales, rights and benefits. The event saw fintech, blockchain, cryptocurrency and legal experts join together to discuss the latest token offerings on the market. Our expert panellists, which included Jonny Fry, CEO of The Blockchain, Tomer Sofinzon, Founder of Twenty Thirty AG and The Pillar Project, Chris Wray, Co-Founder of Mattereum and TokenMarket CEO Ransu Salovaara discuss a variety of key topics. "SME's find it incredibly hard to raise money in this market" was a key point that Jonny Fry made on the panel. "Security token offerings allow these businesses to raise the money that they need to with the safety of a traditional security. This alone shows that there is a real need for these kinds of tokens in this current market climate and we should be welcoming this token type with open arms." As well as the overall need for security tokens being discussed there was also questions raised regarding jurisdictions, the effectiveness of security tokens, regulation, markets and many more. Irfon Watkins, Founder and CEO of DOVU, a unified token, wallet and marketplace for earning and spending mobility related rewards, gave a presentation on the company's progress since their ICO. The presentation covered the roadmap of the overall business, the problems the ICO faced and the success of the project. Watkins also announced that DOVU would also be hosting their own security token offering in the near future as the business plans to grow in the coming months. 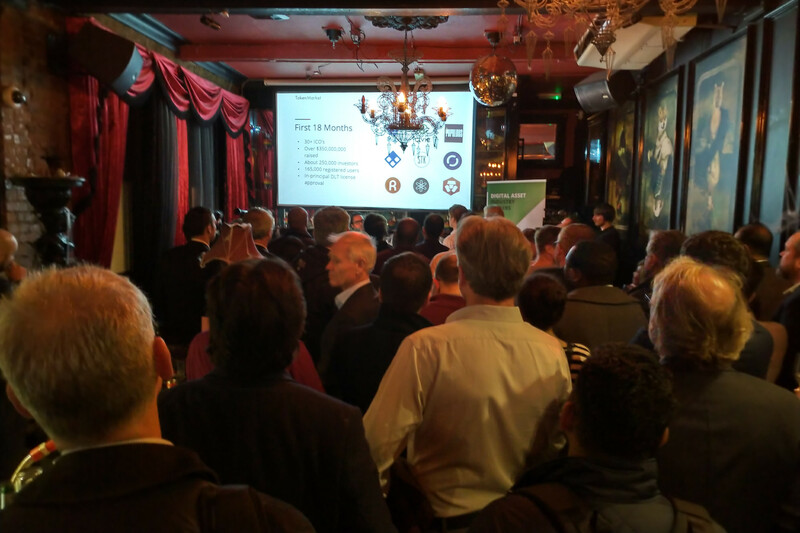 Mattereum Chief Technical Officer Rob Knight gave an insightful keynote on how the company are tackling the world of security tokens and assets. As Mattereum's protocol is focussed on asset governance, including maintenance and curation of physical assets and protection or conditional licensing of intellectual property, their work is heavily invested in the area of securities. The full panel discussion, as well as the keynotes from our guest speakers, will be released soon and we will be distributed via our social media channels. Over a hundred people attended our first meetup and it was a great success. To have privileged speakers, as well as attendees, come and join us in this discussion was very positive.